A Web server is useful for any organization to create and manage the website. It fetches static web pages from the server by following Hyper Text Transfer Protocol (HTTP). Not only these, web servers also possess some important features that help organization or business in various ways. In this article, we will discuss some of their features like virtual hosting, large file support, bandwidth throttling, authentication, etc. This is the most important feature of the web server. It provides the requested pages to the clients by using Internet Protocol (IP) address. The information about this web page is stored in the physical directories. The address of these physical directories are again stored in the virtual directory making the web pages more secure. Web servers are capable of serving large files whose size is large and around 1GB to 2GB. The bandwidth throttling feature of web servers helps organization or business to control or limit the speed of services. This helps them regulate the clients or serve more clients. Web servers are known for serving the static web pages, but the most surprising thing about web servers is that they also handle dynamic content in some cases if the interface or operating system supports. Web servers provide feature of managing log files. Managing log files means, what information can be saved on log files, where the log files must be saved to retrieve them easily back when needed, etc. To avoid unauthorized access to business information, web servers provide feature called authentication. Authentication means checking whether the user is an authorized user or not by checking the user name and password. In web server you can create the directory to store the information like user name and password or IP address and tell servers which users are allowed to view the website. We mentioned earlier in this article, that web servers supports large files. But, to reduce the usage of bandwidth the content flowing across the network, file size can be reduced by some zipping methods. These zipping methods compress the content and then deliver. web servers allow user to create their own website and files that are associated to that website. Sometimes, the users may make some mistakes while requesting the services or server and also browser may not function well sometimes. In that case an error message appears to the user, which, may not be clear and understanding to the user. Web server can help user to create or customize the error messages to make it easy for the users to understand the errors. This is called customizing error pages. HTTP support helps businesses to make secure connections to the server using transport layer security (TLS) or secure sockets layer (SSL) protocols. From these features, it is very clear that the web servers help organizations/businesses in various ways. Know Why Website Maintenance is Important? 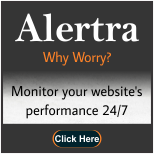 What to Expect from Website Monitoring Services?